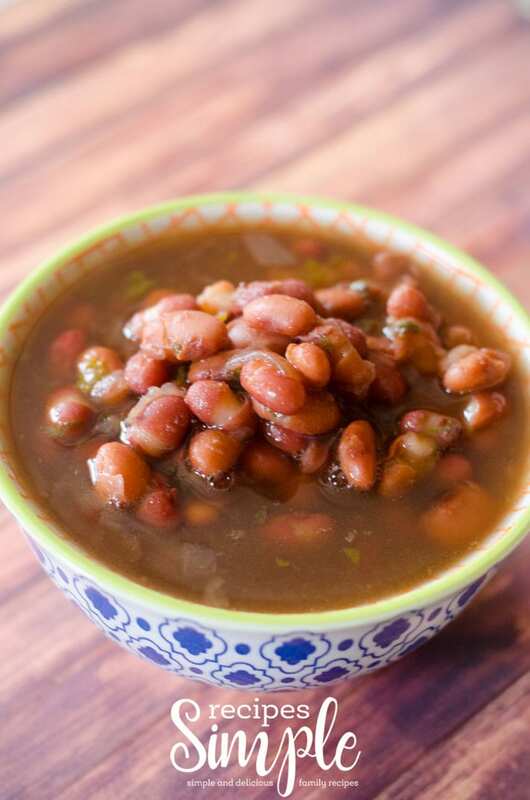 The Instant Pot cooks beans so much faster which makes it perfect for making bean soup. 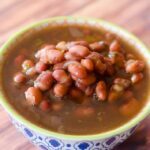 This Two Bean Soup Recipe uses Red Beans and Pinto Beans and is perfect served with cornbread or rolls. My dad always loved it when my mom served bean soup, cornbread and sweet tea for supper. It was one of his favorite meals to eat year round. Sometimes simple meals are the best! 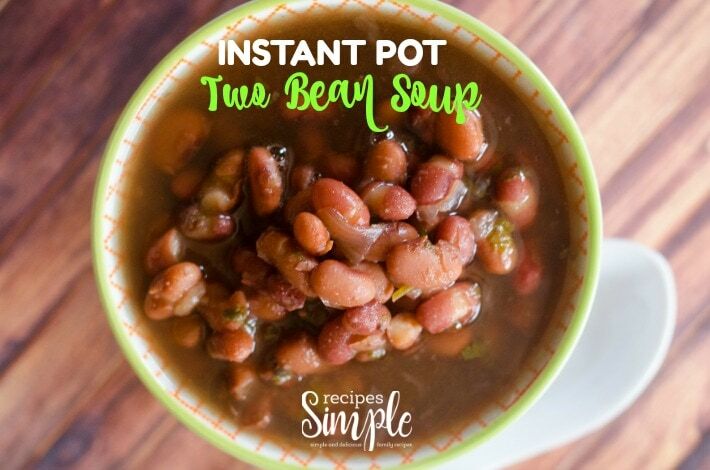 It took me a few months after I purchased my Instant Pot to start using it. I was a little intimated by it. I remember the old pressure cooker my mom used and that one always scared me! I have this Instant Pot from Amazon and now I use it as much as my slow cooker. Gather your ingredients are let’s start cooking. Dice onions and de-seed and dice Jalapeno pepper and Serrano. Chop 1/2 bundle of Cilantro. Dice four strips of bacon into equal size pieces. 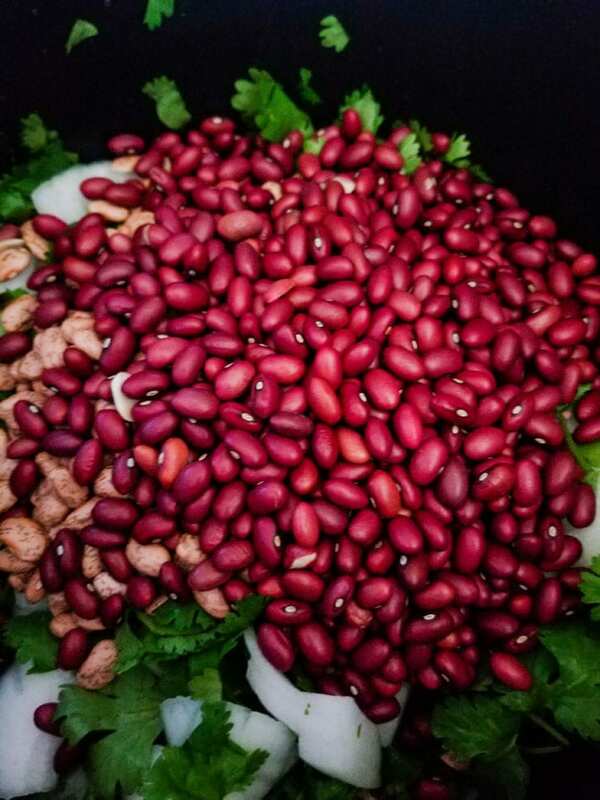 Thoroughly wash your beans in a strainer. 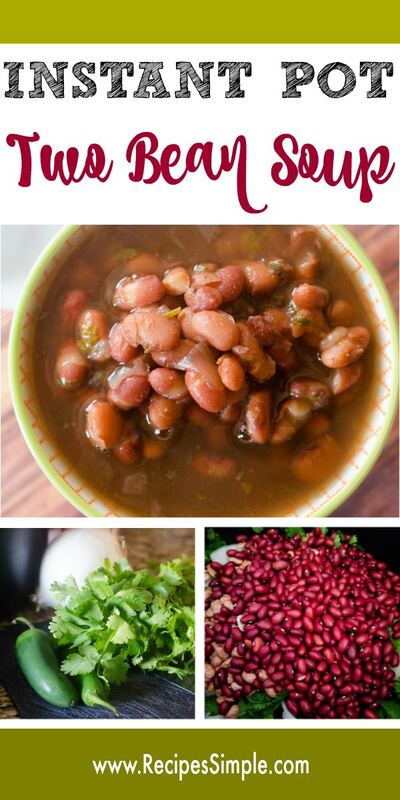 Place beans, peppers, onion, cilantro, and vegetable broth in your instant pot or pressure cooker and stir. Next add in the bacon and garlic. Then add all the spices and stir until mixed together. Cover mixture with water to the max level. Place the instant pot or pressure cooker on high pressure mode and Set for 1 hour. Let it release pressure on its own. Scroll down for full printable recipe. 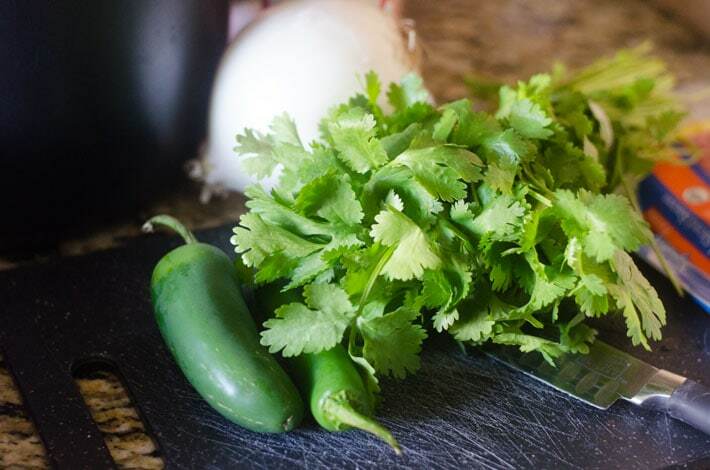 Place beans, onion, cilantro, peppers, and broth in your instant pot (pressure cooker) and stir.